Pope Francis wants everyone to feel sure of and secure in the loving mercy of God. He several times quotes psalm 136 and its beautiful chorus line “For his mercy endures forever”, and says that mercy is the very foundation of the Church’s life. He speaks of justice and mercy as “two dimensions of a single reality” and says that the scriptural meaning of justice is far beyond legalism. God’s justice gives to everyone what is their due as the children of God – the loving mercy of God is our justice! It is an inspiring understanding. It recalls the Church’s teaching in its complementary theologies – “Moral (teaching what is right and wrong)” and “Pastoral (teaching that no one is outside the loving mercy of God).” God’s justice gives to everyone what is right in love – it is mercy! 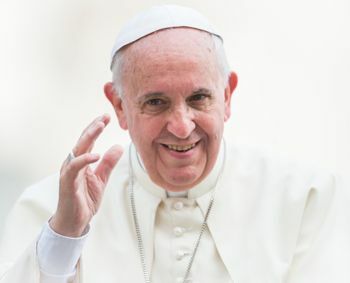 As we await Pope Francis’ letter regarding the Synod on the Family, and the welcoming back to communion of the divorced and re-married, we know what he will probably decide – mercy, forgiveness, reconciliation, with a period of penance, so that all involved will know and feel there has been justice and reparation. Sorrow, not guilt, will guide the “penance” for those who have already suffered much. In the middle of the third century the Church faced a similar dilemma. The ferocious persecution of the Emperor Decius (249-51) was over and many Christians who had lapsed during the persecution wanted to return to communion. The newly-elected Pope Cornelius wanted to welcome them back after a suitable penance but the jealous Novatian (who had been expecting to be elected pope) and his followers wanted their permanent exclusion. Pope Cornelius’ attitude of mercy brought many back to communion but Novatian and his followers refused to follow and broke away from the Church. Could it happen in 2016? We pray for peace, reconciliation, justice and mercy. God, please bless us, especially the stubborn.